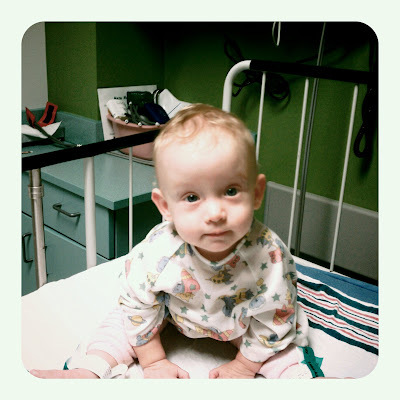 Ruth had her first MRI under sedation since leaving San Francisco. I hated that she had to be put under general anesthsia, but understood. I was a little worried about the no eating thing beforehand, but since she is breastfeeding, I could nurse her up until about 6 hours before, and she could have clear liquids until about 4 hours before. She was the first case of the day (we got up there at 6:15 am), and so I just woke her up at midnight and again right before 2 am to nurse, and she did fine. Since she has some major separation anxiety going on right now, they gave her a mild sedative before taking her back so she would be loopy, and she was silly on that stuff! But it worked, no tears going back. 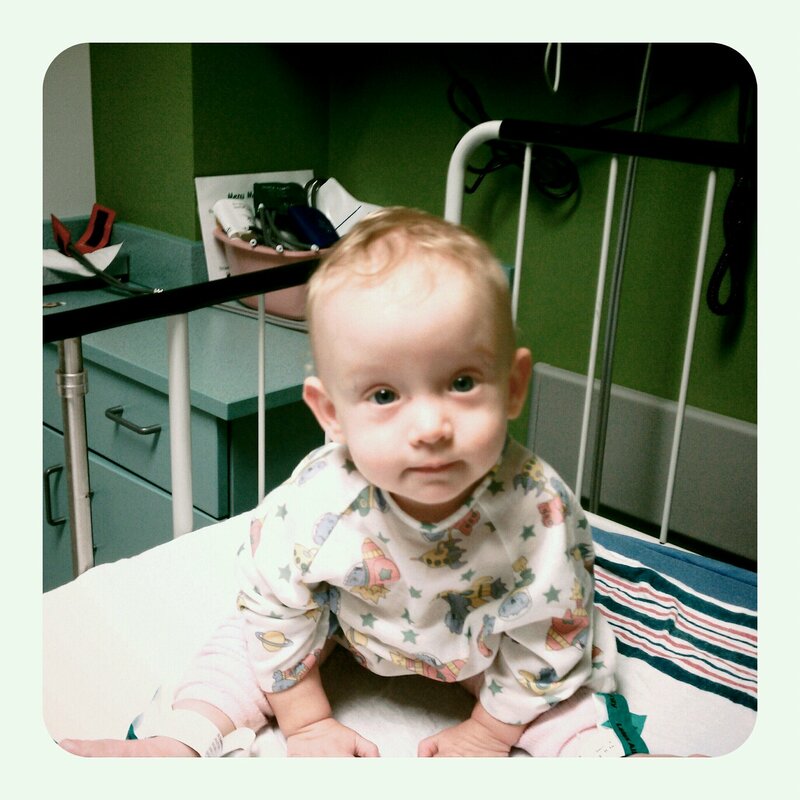 Her MRI went quickly, and about an hour later they called us back. Immediately I could hear her screaming, she woke up and I wasn't there! Poor baby. She handled the sedation just fine, so much better than last time, but she was only 5 pounds then too! She wasn't even all that groggy. She did have a nasty reaction to the tape they used on her face and chest, it took about 24 hours to go away. She also has been a little raspy when she cries, I guess the tube irritated her throat. Well, Ruth's neurosurgeon appointment didn't go as well as we had hoped, but it wasn't much of a surprise either. Her MRI showed that her ventricles have continued to *slowly* increase, and her head circumference is now at the top of the growth chart. He now considers her to have hydrocephalus, or "water on the brain", and thinks it's time for surgery. We were given the choice between two different types of surgeries, one being a VP Shunt, the other a ETV. I will explain the difference between the two in a separate post. While we are disappointed, we knew this was coming. I have been watching her head slowly increasing on the growth curve, and didn't have much hope that the fluid was stablizing. The surgery is scheduled for this Monday assuming she passes her pre-op exam tomorrow. We expect her to be in the hospital one to two nights unless there are complications. Please keep her in your prayers.